Mars - the next "Giant Leap"? 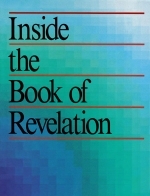 Revelation is a book about the future, first and foremost. However. it also has the same purpose as the gospels, Acts and the letters of the apostles. All these were specifically written to members of the Church of God. They explain the work of Jesus and the meaning of the Christian faith. The book of Revelation is also directed to members of God's Church, called "his servants" (Rev. 1:1). Originally, Revelation was written to and read before churches of God in seven specific cities. John, in vision, was given precise instructions on this point. He first heard a loud trumpet. This was followed by a thunderous voice proclaiming, "I am the Alpha and the Omega, the First and the Last... What you see write in a book and send it to the seven churches which are in Asia: to Ephesus, to Smyrna, to Pergamos, to Thyatira, to Sardis, to Philadelphia, and to Laodicea" (Rev. 1:11, italics added). Asia was a Greek-speaking Roman province in what is today western Turkey. It stretched across western Asia Minor from the sea to the Anatolian Plateau. A specific congregation of God's people existed in each of the seven cities John mentioned. Revelation contains seven stylized letters to these churches. They give us a picture of the spiritual condition of God's people at the time the book was written. The letters summarize the spiritual works, the trials, the problems, the hopes and the rewards of God's people in these seven church congregations. The contents, no doubt, were read to their members. Immediately after a short introduction, John greets his readers, those in the seven churches. He writes: "John, to the seven churches which are in Asia: Grace to you and peace... from Jesus Christ, the faithful witness, the firstborn from the dead, and the ruler over the kings of the earth. To him who loved us and washed us from our sins in His own blood" (Rev. 1:4-5). The message of Revelation discloses events to occur on this earth before Jesus' return. It is specifically addressed to his Church, as a warning and hope to his own people. The Church in question is the one Jesus founded (Matthew 16:18). He is its living head (Ephesians 1:21-22). The first chapter contains a vision of the risen Jesus — the Son of Man — in his glorified state. He is pictured as dwelling among seven lamp stands. These represent the seven churches or congregations mentioned above (Rev. 1:13, 20). The vision emphasizes who their true spiritual leader is. Christ holds seven stars, representing the angels of the seven churches, in his right hand (Rev. 1:20). This portrays Jesus' sovereign control over his Church. Christ also walks among the lamp stands. He is present in the midst of the Church and is aware of its activities. This recalls Jesus' promise, "Where two or three are gathered together in My name, I am there in the midst of them" (Matthew 18:20). The seven churches could also represent the progressive state of God's Church through the centuries. In that sense, they link God's people through time. That linkage began when the Church was founded on the momentous day of Pentecost, shortly after Jesus' resurrection (Acts 2). The chain stretches through history down to the day of the Lord. The seven congregations, in that sense, could represent the consecutive and differing spiritual states of the Church throughout that time. There is yet a third way to perceive the intended meaning of these seven churches. We've seen that the book of Revelation portrays events from the point of view of the "last days." That being so, the characteristics in the seven churches of Revelation, chapters two and three, could all exist simultaneously among God's people as the world treks toward the crisis at the close. THE SEVEN CHURCHES OF REVELATION — Letters written to Church of God, congregations in seven cities of Asia Minor discuss their major spiritual characteristics. Each of the seven congregations can represent dominant traits of the church in successive periods of history. • Lose their first love and zeal for God's way (Rev. 2:4). • Suffer poverty and persecution (Rev. 2:9), but are strong in faith, not denying God (Rev. 2:13). • Are morally weak and compromise spiritual truth (Rev. 2:14, 20). • Have greatly improved in the depths of their spiritual works (Rev. 2:18). • Are nominally members but are spiritually dead (Rev. 3:1). • Are persevering in God's way (Rev. 3:10). • Are spiritually proud and possess works with no spiritual value (Rev. 3:17). The admonitions, praises and promises given to each of the seven churches contain the statement: "He who has an ear, let him hear what the Spirit says to the churches" (Rev. 2:7, 11, 17, 29; 3:6, 13, 22). This applies to all of God's people in whichever era they might live. Certainly, true Christians in all ages should be concerned about each of the spiritual conditions described above. Revelation, chapters two and three, contain the actual letters to the seven churches. In each case, the letter begins with Jesus speaking to members of his Church. The book of Revelation is written to God's people of every age as a message of warning and hope. One of several attributes of Jesus' glory and majesty, as described in the first chapter, is repeated and placed at the heading of each letter to the seven churches. For example, we read the following words addressed to the church at Ephesus: "These things says He who holds the seven stars in His right hand, who walks in the midst of the seven golden lamp-stands" (Rev. 2:1). These statements are borrowed from Revelation, chapter one, verses 13 and 16. They underscore an important intent of the book: Its information comes from the spiritual head of the Church — the risen Jesus Christ. The letters respectively commend the churches for their strong spiritual works and reprimand them about their specific problems and short comings. Forceful warnings are given to those who are spiritually weak. Two examples follow. This admonition is sent to Ephesus: "Remember therefore from where you have fallen; repent and do the first works, or else I will come to you quickly and remove your lamp-stand from its place — unless you repent" (Rev. 2:5). Those at Sardis are warned: "Be watchful, and strengthen the things which remain, that are ready to die, for I have not found your works perfect before God. Remember therefore how you have received and heard; hold fast and repent. Therefore if you will not watch, I will come upon you as a thief, and you will not know what hour I will come upon you" (Rev. 3:2-3). A promise is made to each church. If its members overcome their spiritual problems they will have a part in the coming kingdom of God. Those in the Church at Philadelphia are guaranteed, "He who overcomes, I will make him a pillar in the temple of My God, and he shall go out no more" (Rev. 3:12). Thyatira is promised:" He who overcomes, and keeps My works until the end, to him I will give power over the nations" (Rev. 2:26). Laodicea is assured: "To him who overcomes I will grant to sit with Me on My throne, as I also overcame and sat down with My Father on His throne" (Rev. 3:21). The emphasis is on spiritual works — repentance, mastering sin, building God — like character. The promise for faithfulness is eternal life and rulership with Jesus over the nations. The admonition to be zealous for God is urgent. The time of the Messiah's return is imminent. "I come quickly! Hold fast what you have, that no one may take your crown," the church at Philadelphia is told (Rev. 3:11). The message of the first three chapters of Revelation has a pressing urgency about it. It recalls Jesus' warning, given during his earthly ministry. "You also be ready, for the Son of Man is coming at an hour when you do not expect Him" (Matthew 24:44). The day of the Lord is near, says Revelation. The book implores God's people to watch their spiritual condition. They are to be prepared so they may escape the terrible things to come upon the earth. We have seen that Revelation addresses its message to God's people — especially those living in the last days. The warning is to those "who have an ear to hear." They are being provided with a scenario of the immediate future — an overview of the dreadful things they may see or experience. The world is ready to pass through its own time of mortal trial. Revelation holds out a way of escape to the faithful Christian.